Following his recent article for the New York Times, Ed Husain agreed to write a follow-up piece elaborating on this bold proposal for ending the boycott of Israel and grabbing the Islamist tiger by the tail. Thousands of Muslims visit Jerusalem every year, but not since Saladin conquered Islam’s third most sacred site has the arrival of a single Muslim individual carried as much symbolic weight as my recent trip to the ancient city. I had come carrying an olive branch. I don’t mean that metaphorically, somebody gave it to me and then asked me for some money claiming that it was sacred. I searched my pockets and I could only find some Bahraini dinars, so I gave him some. I was still carrying the olive branch when the taxi dropped me at the hotel, I was afraid to throw it for fear of offending the driver. But I had come on a mission. My abhorrence of Muslim groupthink made me overcome my natural reluctance towards legitimising unsavoury regimes, I wanted to take a stand. No more Muslim groupthink on Israel. from now on all Muslims around the world should speak in one voice against groupthink. And it was down to me to provide this voice. Whereas some might assume that my ignorance of the region and its politics should prevent me from speaking out, in fact I could look at the problem with fresh eyes. My total lack of historic understanding meant that I could free myself of prejudices, such as using emotive terms like ‘occupier’ and ‘occupied’. But first things first. I checked into my hotel and went up to my room. To my utter dismay, the room was far from perfect. The towels were generic and unbranded, the soap looked like it was made in a workshop down the road, and there weren’t enough clothes hangers. The shame! This was not the fault of the Jews or the West, but we Muslims who claim to fight daily for “liberating Jerusalem” and yet neglect the very basic principles of customer service and hotel management. Why? And how can this change? I had no time to think and formulate a strategy, this was an occasion for grand dramatic statements and wild hyperbole, my passion would carry the day while my reason was still on vacation. And I had a New York Times deadline to meet. Thomas Friedman hadn’t come up with any formulaic insights into the Arab psyche recently, and the NYT’s readership was getting impatient with the lack of oversimplified solutions for complex problems in the Middle East. But first I had to identify the problem. This, I decided, isn’t a local conflict, it was an unfair battle between 1.5 billion Muslims worldwide and a few million Jews in Israel. When you look at it like that, the dynamics change dramatically. It might be completely inaccurate, but factual consideration have failed time after time to produce a realistic solution in Palestine. It was time to sacrifice facts in the name of harmony. I was preoccupied with such thoughts while I was being shown around. And then I had my moment of inspiration. While I was looking at the giant security wall that the Israelis built to protect themselves from Palestinians, it hit me. Separatism in the Holy Land has not worked and it is time to end it. I don’t know what made me think of separatism then, it’s probably one of those subconscious associations. I had to speak out against the Muslim policy of isolating Israel. Prime Minister Benjamin Netanyahu, for all his faults, is correct in identifying a wider strain of intolerance of Israel. We refuse to understand his passion for attacking Iran, and when he tried to show us the real evidence by holding up that cartoon at the UN, we cruelly laughed in his face and then made jokes about him behind his back. There were even some inappropriate remarks about his balding head, revealing his ‘iron dome’ as some said, unnecessary mockery that only deepens the chasm between Muslims and Israel. It is time to end our boycott of Israel and end this one-sided policy of isolation. Israel looks at us with open arms, and yet we scorn it time after time. No wonder it continues to build up its military arsenal, our insensitivity and rejection has pushed Israel towards militarisation and defensiveness. Hell hath no fury like a woman scorned. Hell hath no fury like a nation whose high-end computer security programs you’re not buying. Our moderate imams have to take a stand. This might sound like my solution for everything, from Muslim youth radicalisation in Europe to ethically-correct dieting, but in truth the moderate imams have to be at the forefront of our struggles. Partially because I like the word imam. I also like to use words like Al Azhar and Medina, this gives me a vague sense of Muslim authority, like I know what I’m talking about. And obviously that I can claim to speak for the 1.5 billion Muslims around the world. And, to prove a point, I have managed to write an entire article about Israel and Palestine without mentioning Gaza even once. Our attempts to humanise Israel to the Arabs will be hugely boosted by such brave acts of selective choice of facts. It is a tactic that has worked for me in many other places, and I am confident will continue to work in the future. Dare I say it, my authority as an expert stems from my ability to rise above details and nuances, they only get in the way. After I submitted the piece, the NYT editor told me that Friedman’s most successful pieces included a figurative Middle Eastern mammal. 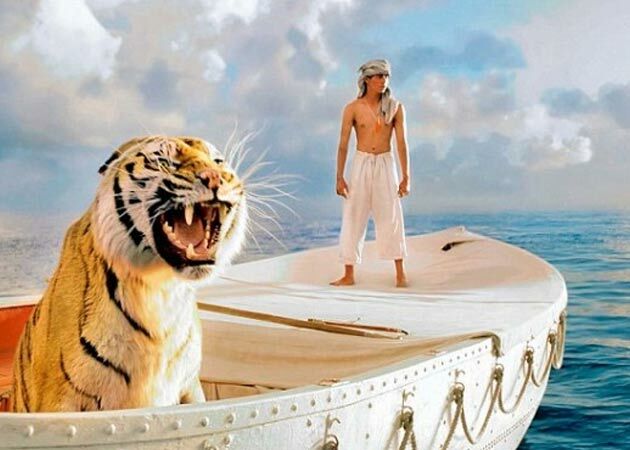 I had just watched Life of Pi, and it reminded of me of my personal struggle against extremism. I had wrestled with the Islamist Tiger and won. And now as Muslims we must all tame the Islamist Tiger. We love you Karl! Regards, a Palestinian woman who know sees the error of her ways in boycotting Israel, since forgiveness is key to Christianity and surely I must overcome my own stigmas, and realize they needed land badly, and turn the other cheek.